First the bad news. The knitting needle I’d bought for my Ocean Currents Rug broke! The tip just snapped off the cable while I was working with it. It’s been sent off to the manufacturer for replacement, but until I get a new one, there’s not going to be any rug progress. 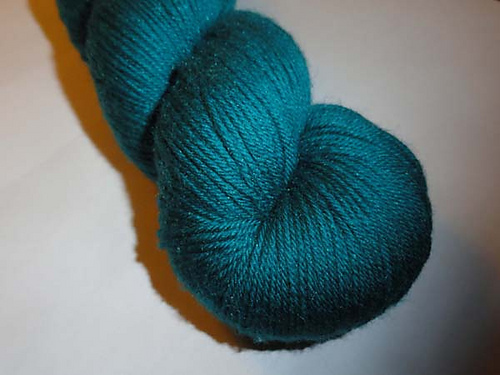 To make up for it, I’ve had a fair bit of knitting good news. 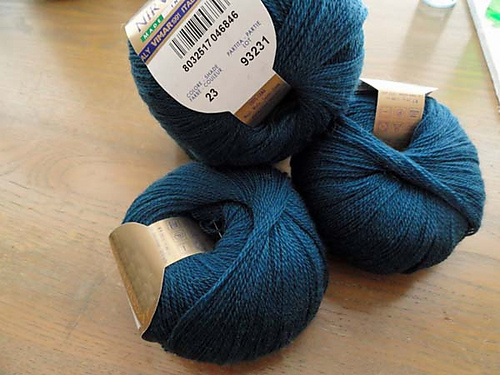 I have a couple of projects I want to complete in the next year or two that I didn’t have the yarn for, so I put in an order and got it the other day. 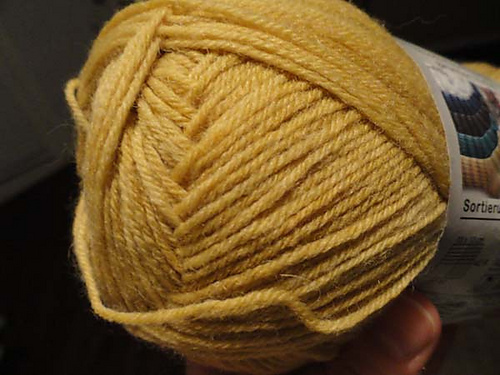 I’m not quite sure why I was so drawn to this yarn — it’s not a color I’d normally pick, but as soon as I saw it, I knew I wanted to use it in that pattern. 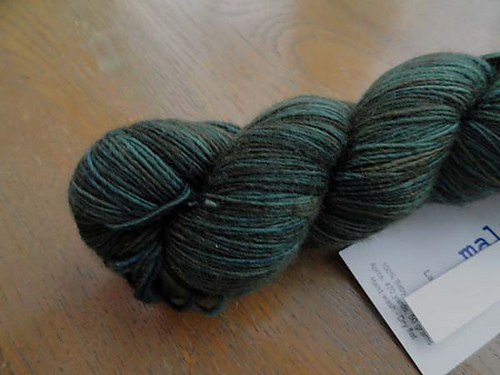 All the pictures I’d seen of this yarn showed it as blue, but it’s a fairly green-leaning blue-green. The picture here is the best I could get, but it’s not green enough. I’m slightly disappointed it’s not the color I was envisioning, but it should work out okay. It’s super squishy and the perfect color! 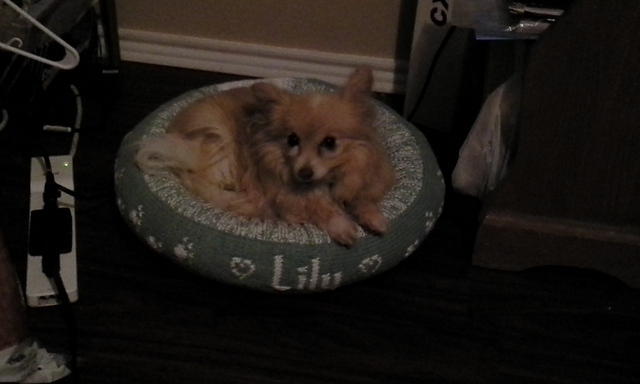 In fact, she likes it more than she likes sleeping on the couch next to me!